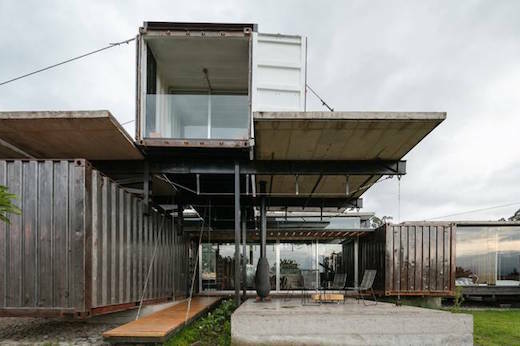 The so-called RDP House, recently completed in Quito, Ecuador, is a great example of unique and interesting ways in which shipping containers can be used to build modern, sustainable homes. 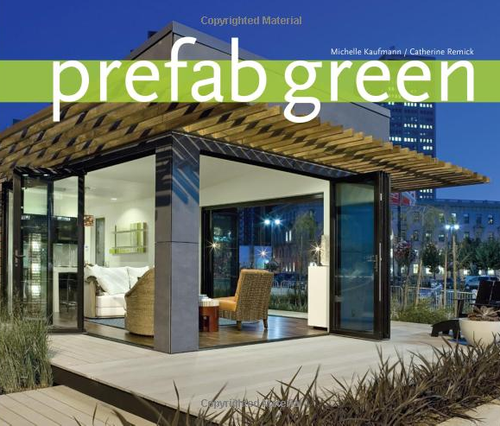 It was designed by architects Daniel Moreno Flores and Sebastian Calero. 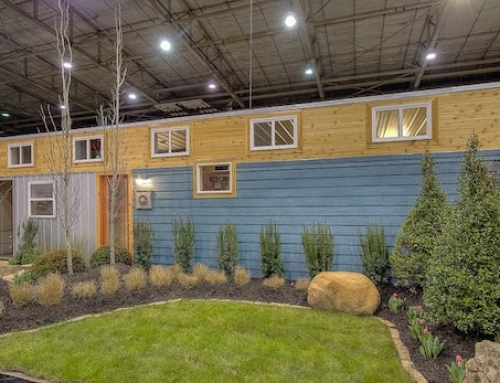 They used five recycled containers for this project and left them in pretty much their original state. 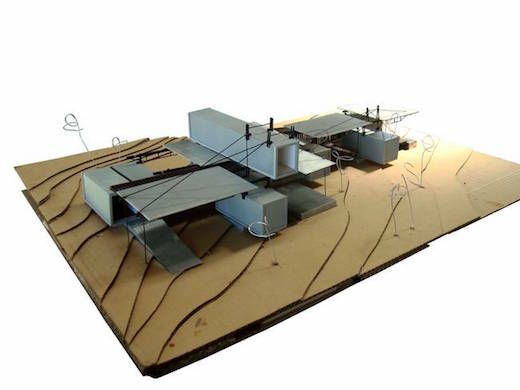 The interesting design choice in this case was that the containers were placed in such a way that they enclose the main rooms of the home, while they also house the kitchen, bathrooms, storage rooms, and closets. 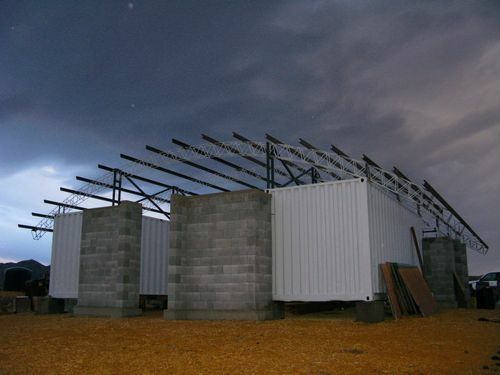 The roof, which basically connects these containers into a home, was made out of poured concrete, as were the walls, though the latter are mostly glazed. 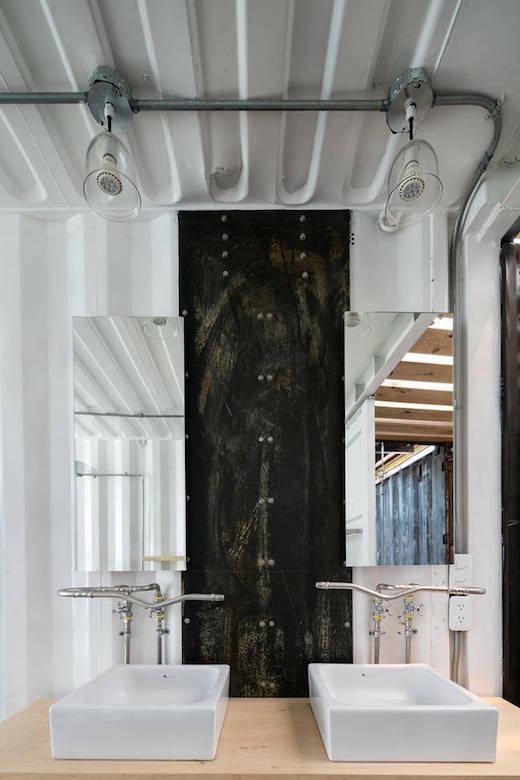 They sandblasted the exterior of the containers, so that the metal shows through, while they painted the inside walls white. They also left all the wiring and plumbing exposed to add to the industrial yet modern appeal of the home. 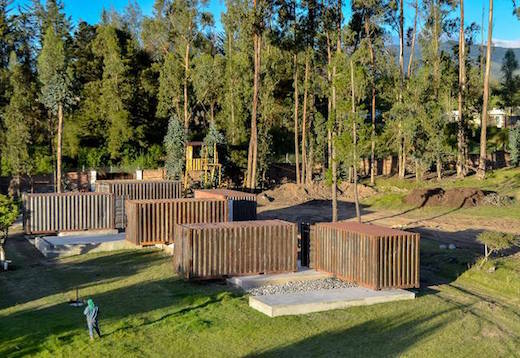 They did not add any insulation to the home, which is an odd choice, though Quito has a very temperate climate, with the average yearly low around 50°F and the average high around 70°F. 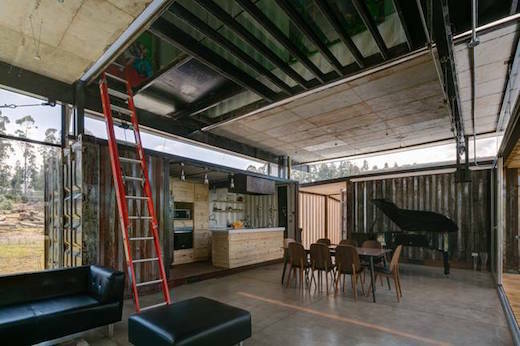 According to the designers, the home can also be disassembled and moved elsewhere, though with its concrete roof and walls, that could be a hassle. 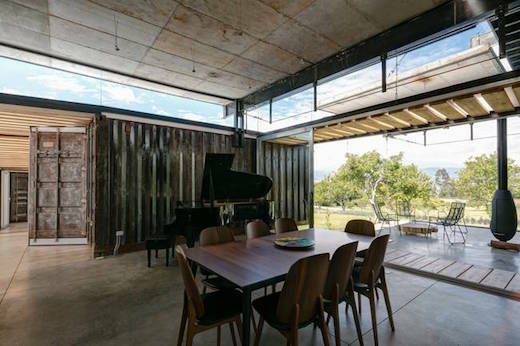 The use of concrete to build this home also doesn’t make it entirely sustainable. 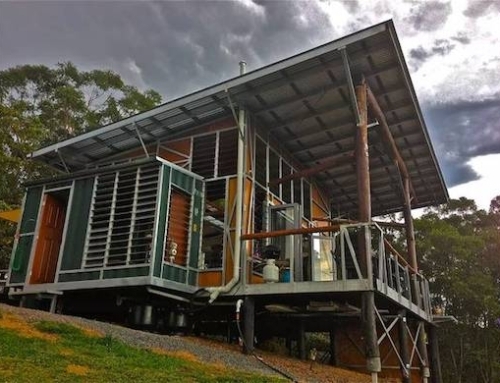 However, the use of unaltered, recycled shipping containers is very eco-friendly, so this home definitely gets credit for that. 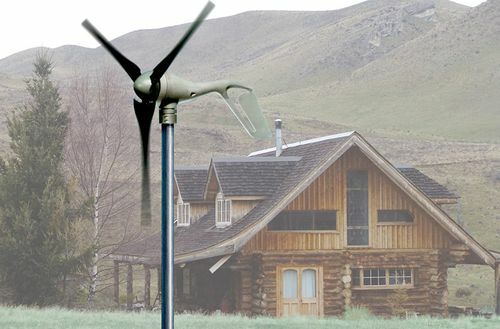 The design is also very clever and quite novel, despite the fact that it is very simple and straightforward. 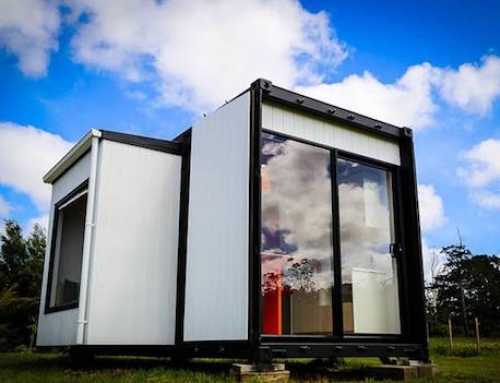 It should inspire others wishing to build a shipping container home. 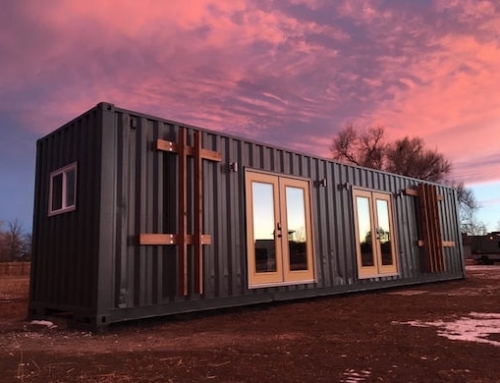 And if wood was used to connect these shipping containers into a home, it would also be a lot more sustainable. Wow, What an excellent architecture. 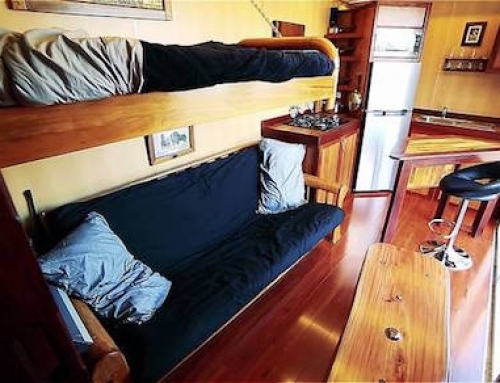 I have heard about shipping container houses but had never seen it. You gave me an excellent idea about it…. Thanks buddy.